Easiest Pasta Dinner - emma and co. Meanwhile, if using fresh spinach, rinse, dry, and cut into fine shreds. In a large pan, melt the butter and oil. 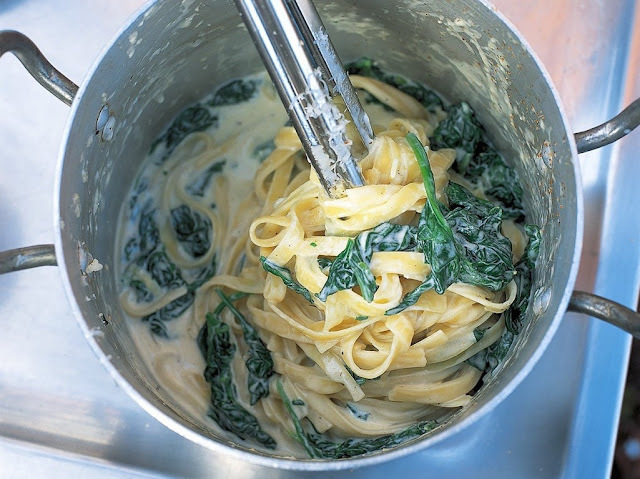 Add the garlic and nutmeg, and when its warm add the spinach. Cook until wilted, about 3-4 minutes. Add the mascarpone and the cream, the parmesan cheese and a little pasta water, if necessary. When the pasta is done, drain and reserve some water. Add the pasta to the sauce, mix well. If necessary loosen the mixture with pasta water, added gradually. 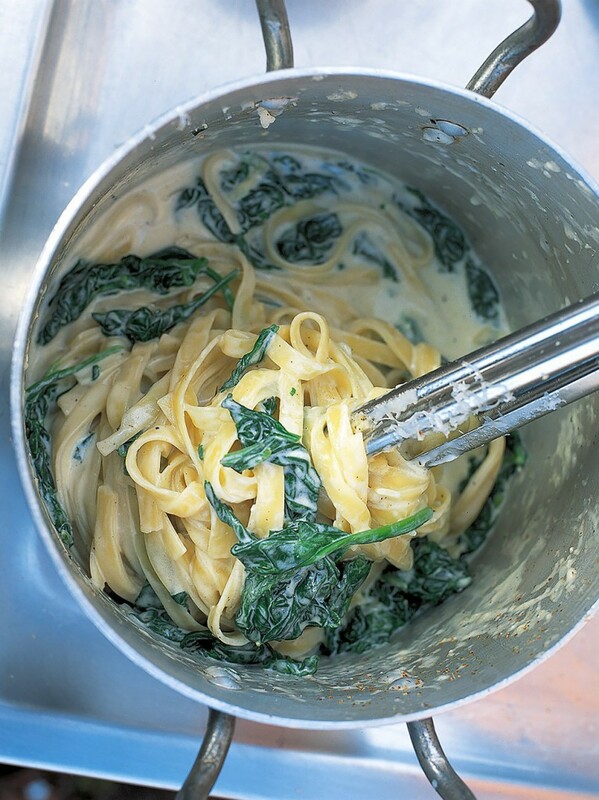 The pasta should look smooth and silky, not clumpy.